These are those highly-detailed, informational pages on your website that are specific to the specialties or services you offer in your private practice. What makes this such a good website strategy is that it allows you to be super specific with each page, creating copy that is perfectly targeted toward your ideal client. You can use on-page SEO strategy to really optimize these pages for search engines to help you drive traffic. But how do you actually go about this? What does it look like in the real world and is it actually worth it to create so much content for your private practice website? I’d like to introduce you to Paul Thomas. Paul Thomas is a Clinical Hypnotherapist in Sydney, Australia, who helps his clients overcome personal, emotional and habitual problems quickly and easily by using Hypnosis and NLP (Neuro-Linguistic Programming). He also happens to be one of the very first students to go through the Create My Therapist Website Toolbox program. Paul took what he learned in the program about creating content and boy did Google love it. 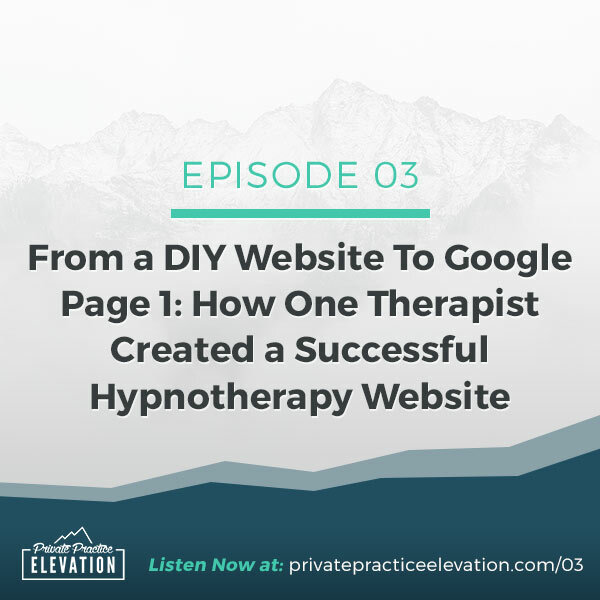 He applied it to his hypnotherapy website and was able to rank it on the first page of Google!